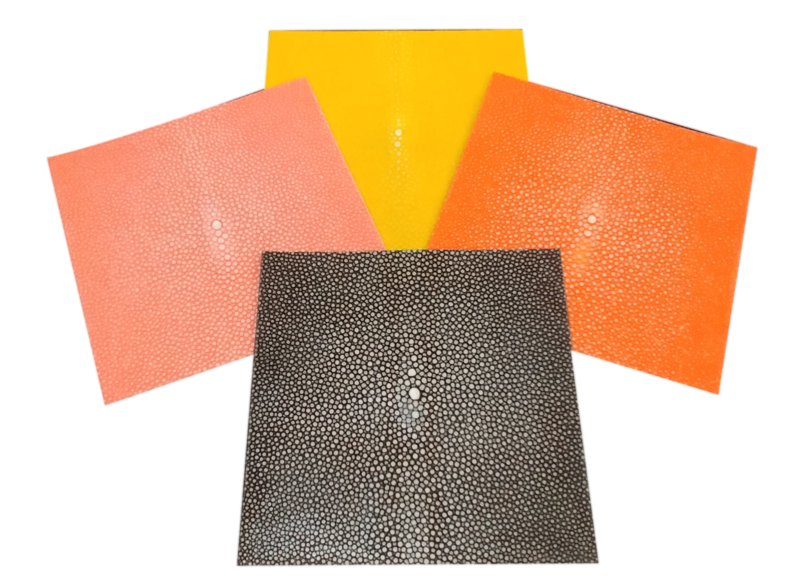 We supply Raw Stingray Leather or better known as Shagreen in Made-to-Order Measurement for Clients to paste on Tables, Chairs, Feature Walls, Cabinets, Wardrobe or any other places where the Interior Designers’ Idea comes into play. We provide ready cut pieces of 5” x 5” for easy joining for the Carpenter’s professional work. Each piece is carefully cut and polished with the resulting Elegant Stingray Leather being firm, wear-resistant and durable. 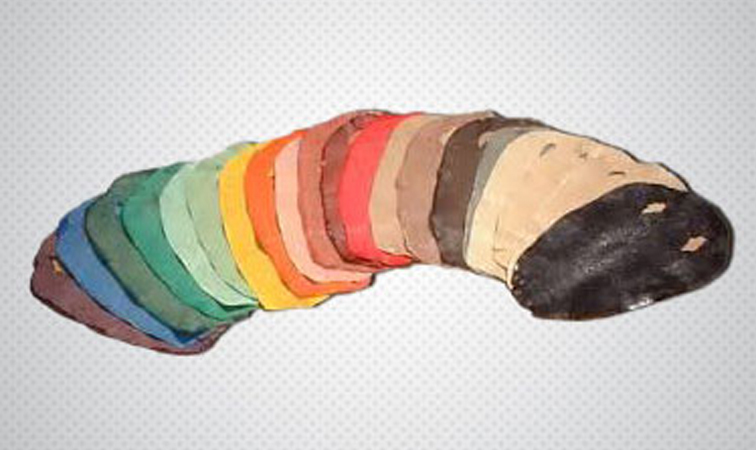 We offer our clients end-to-end production from tanning stingray leather to the finished product. Most people do not know that Stingrays are fish. In fact, many people take excursions around the reefs of Bora Bora and Morea to swim with Giant Rays and actually hand feed them. All Stingrays, despite their size differences, are equipped with long, flexible whipped like tails. There are usually one or two sharp spines on the tail near the middle. These spines have sharp teeth along their edges making them barb-like, that looks like fishing hook. At the base of these teeth are small glands that contain poison pockets capable of causing wounds nearly as painful and dangerous as a snake bite. Stingrays swing their tails upward to defend against predators. Stingrays live on the sandy or muddy bottoms of all warm, shallow parts of the Oceans and Bays. In South America, they can be found in the rivers that flow into the Atlantic Ocean. Stingrays also live as far as 2.000 miles above the mouth of the Amazon River. These marine Stingrays can be found in South Asia and South East Asia especially the Thai Gulf and Andaman Sea. Stingrays are neither endangered nor threatened. According to CITES (The Convention on International Trade in Endangered Species of Wild Flora and Fauna), there are documents to show that Stingrays are not included in these appendices and therefore legal for commercial and trading throughout the world. Standard finished stingray have bumps or beads that have not been altered from nature. 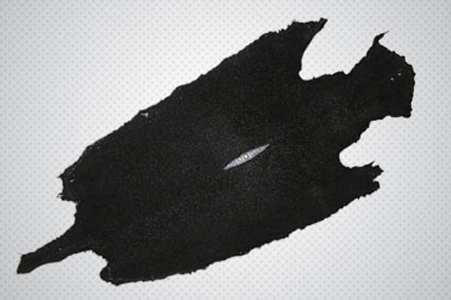 Stingray skins have unique diamond shape white eye/crown in the centre of each skin which is actually a calcium deposit. Each skin has two breathing holes located at the upper portion of the skin which is not considered in the grading. 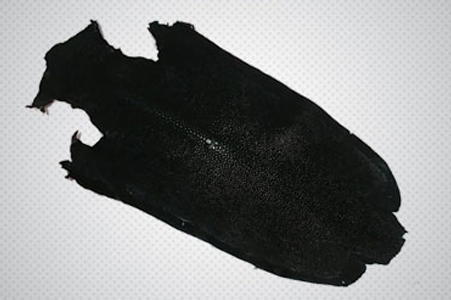 Stingray skins are only graded below the two breathing holes. Any area in-between the breathing holes are not considered. 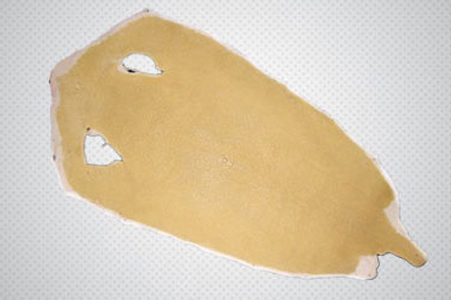 Stingray skins are measured from the widest area across and not from Head to Tail end. 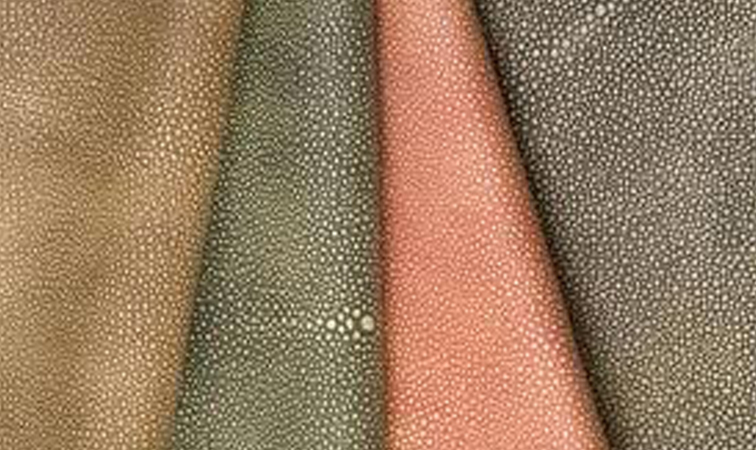 Sanded or polished stingray skins are commonly referred to as “Shagreen” and are used in Furniture Production, Wall Coverings and those interested in Luxurious Finished Products like Wallets, Ladies’ Handbags and Belts. On a laboratory test, we found that the tensile strength of rays skin is 25 times stronger than Hides and they are Scratch, Pierre and Fire Proof. 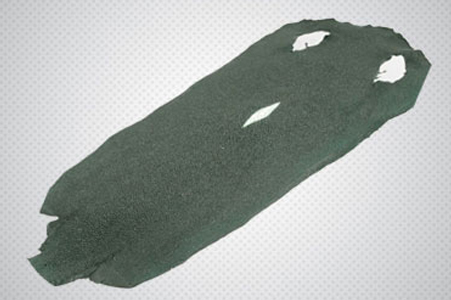 Sanding stingray skins will increase the price roughly 35% from the standard finish, this is due to the fact that 30% of the skins will not adhere to the sanding and must be graded down or discarded. We have developed strict scientific processing course leading to a careful craft and special colouring technology. 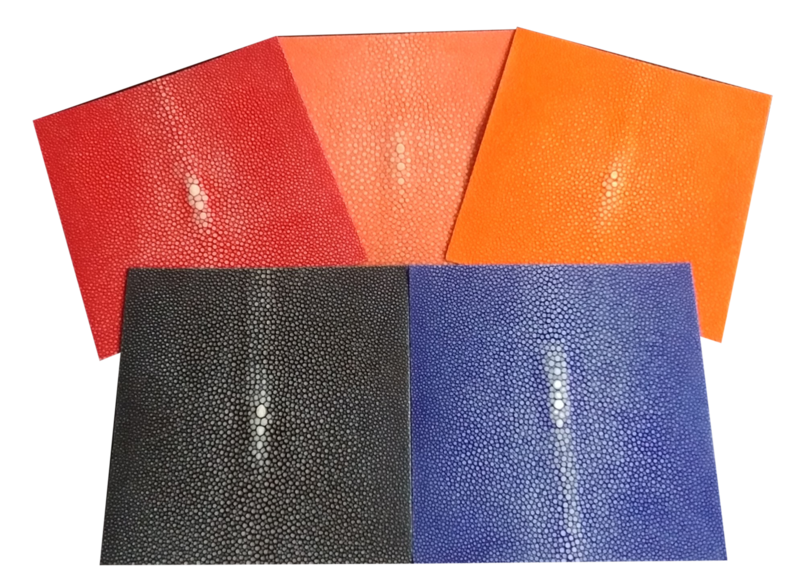 The result is our elegant Stingray Leather Products which are Firm, Wear-Resistant and Durable. 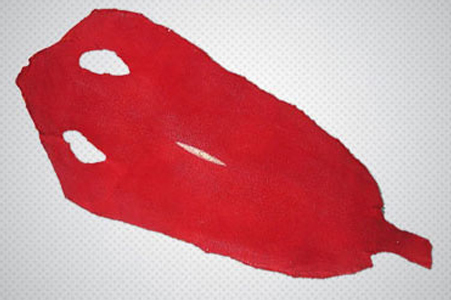 Our Company offers complete end to end production from Tanning Stingray Skins to finished products. 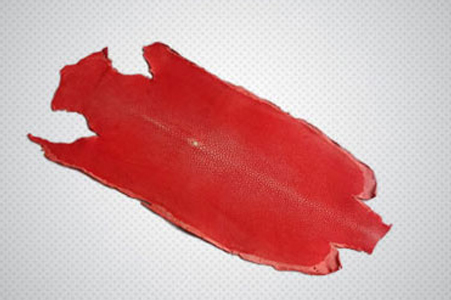 Stingray leather has been used for thousands of years. Many early civilization believed that possessing the skin of a Stingray would bring them “ Strength and Power “. Copyright © 2018 . All Rights Reserved. Designed by Exiga Software.